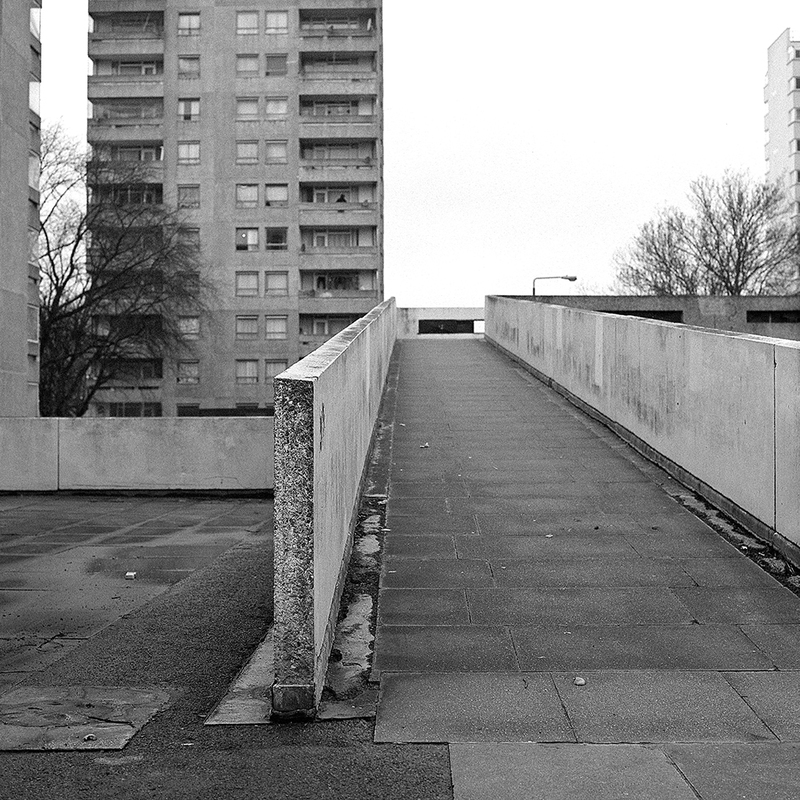 A couple of weekends back I met up with fellow photographer Andy Feltham for a wander around one of London’s largest 1960's housing estates, Thamesmead. 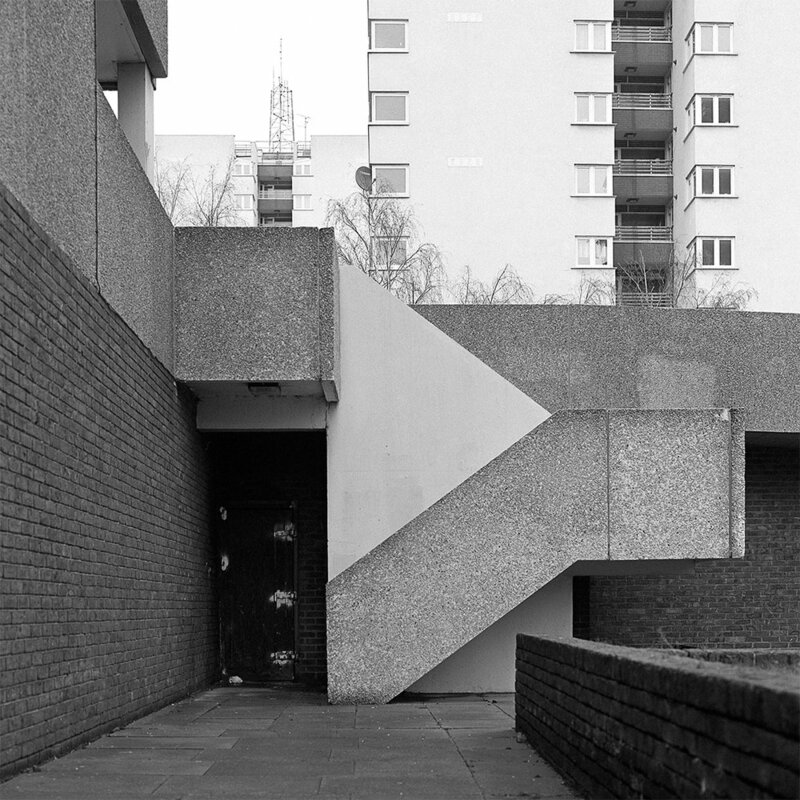 I'm still trying to understand what attracts me as a photographer to this type of brutalist architecture. The buildings are often formed in geometric modular blocks linked together by skywalks and surrounded by parklands or in the case of Thamesmead, a large lake. I guess it's the mixture of forms that appeal to me along with the symmetrical lines and shapes. This together with the concrete! Concrete with its grey, raw and often unfinished surfaces cast into brave shapes, strong blocks and open expanses. On closer inspection surfaces reveal details of their casting method, impressions of wooden planks can often be seen, a tiny bit of natural interest on an otherwise unremitting manmade construction. All this mathematical design interacts with perspective and along with the texture and lines work with light and shadow which for me, almost create photographic compositions automatically. I don’t necessarily see beauty in the style itself, in fact it appears to me that unless scrupulously maintained the surfaces are very prone to unsightly weathering, pollution and water staining. Constant cycles of hot and cold crack facades and rust streaking from the internal reenforcing bars mark walls and surfaces. However these details have their own photographic qualities and contrast strongly with the modernist and utopian ideals of their original designers. While wondering around we met a guy from Leeds who's girlfriend was at a conference in London. He chose to spend his morning visiting Thamesmead! In conversation he asked if we were members of the Facebook group 'The Brutalism Appreciation Society' a group with over 30,000 members, so it looks like I'm certainly not alone in my attraction to brutalist architecture after all.